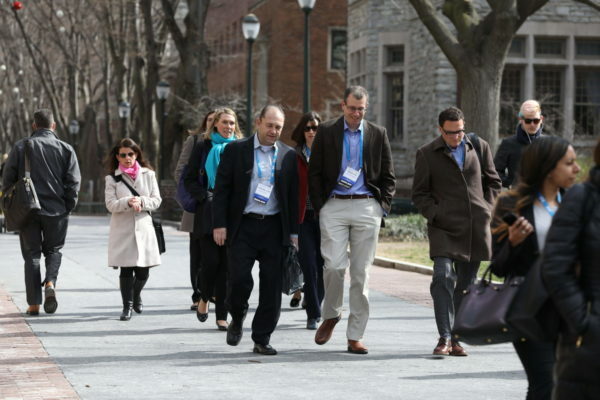 Return to Wharton to learn from the professors you enjoyed, attend newly offered courses and network with fellow Alumni and current students. The SII Graduate Program is designed to broaden perspectives, increase job effectiveness and leadership capacity, and strengthen management and leadership skills. Registration is available on a first come, first served basis: register today before space sells out. Registration fee includes Thursday and Friday courses and lunches, plus Thursday Night Dinner & Networking Reception. Excludes housing. Toggle The Financial Crisis of 2008: What Have We Learned Ten Years After? It’s been ten years now and quite a bit has been written of the impact this event had on the global economy as well as the U.S. — some even ascribe President Trump’s rise to it (seeing his candidacy as reaction to the crisis from both the right and the left. The new laws and then regulations that followed, principally driven by The Dodd-Frank Act, have been largely implemented, but to what effect? And there’s a growing cacophony of voices saying another bust might occur. Millennials get a bad rap. Described by members of other generations as “entitled”, another way to understand them is appreciating that Millennials are highly empowered, and are driven by a sense of agency as well as a deep connection to their values. Based on myriad cultural, economic, and social forces, Millennials are not afraid to ask for what they want at work, and to expect that they will be respected for their contributions. In this class we will examine the stereotypes about Millennials with an eye toward dispelling ideas that are unfair, and even inaccurate, about this generational group. Through a deep dive to understand how they were raised, how they approach being led and leading, we will look to develop a more nuanced view of Millennials at work with a greater focus on their collective strengths, as well as how you can best leverage their ideas and talents. Join SII 2019 participants for a night of networking and fun. Dinner and drinks will be served. Casual attire is appropriate for this reception (including jeans). Along the way, Andy will consider how each of these items is likely to affect taxes, the economy, specific economic sectors, and the markets in 2019 and beyond. In addition to these insights, Andy will provide strategies that investors and financial advisors can consider to take advantage of (or protect against) market effects and volatility arising from these initiatives, as well as specific strategies for investment, wealth transfer and retirement planning. Dr. Jeremy Siegel will discuss where he thinks the economy and markets stand today and then open up a discussion with SII graduates. This workshop will help strengthen your influence and persuasion skills — skills you need to win support for important initiatives, achieve organizational alignment, and implement strategies. Through a series of interactive discussions and role-plays, you will answer four key questions: What are the steps that led to buy-in? What is your communication style and how do you use to engage stakeholders? How do you make your ideas simple and compelling? How do you generate lasting commitment? The workshop content is drawn from the book The Art of Woo: Using Strategic Persuasion to Sell Your Ideas (Portfolio/Penguin), co-authored by G. Richard Shell and Mario Moussa. This class will require pre-work to be completed prior to the participants’ arrival. 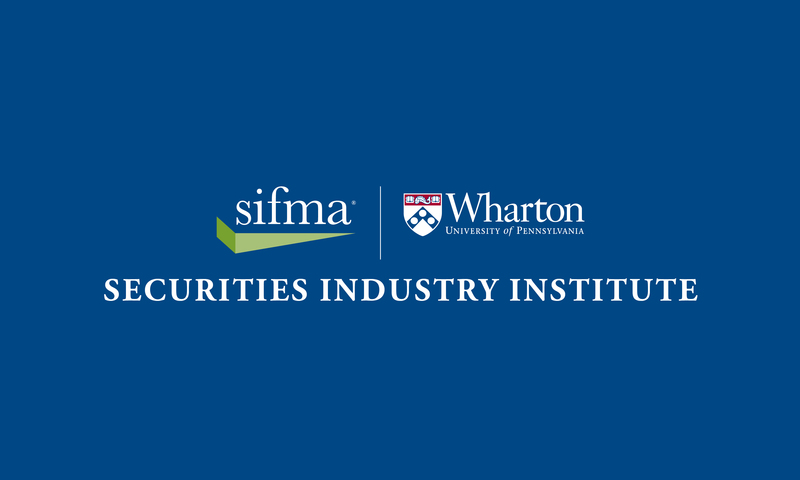 SIFMA has reserved a block of rooms at the Sheraton Philadelphia University City. Rates are $209/night. Please contact us at [email protected] to make your reservation or add your housing request during the registration process.